The ferries across the Persian Gulf and the Strait of Hormuz separating Iran from the Arabian peninsula go between ports in Iran and ports in Kuwait and the United Arab Emirates. They carry both cargo and passengers. 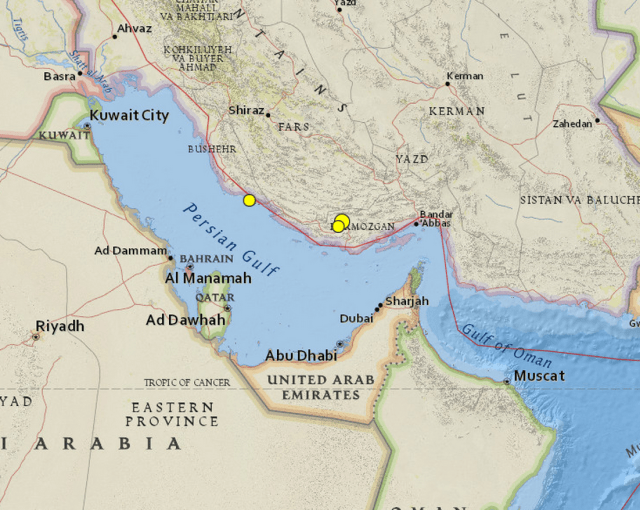 Ferries between Iran and Qatar, Bahrain and Saudi Arabia are not currently in operation*. By having the Persian Gulf and Oman Sea in the South; Iran has access to International waters. It is our pleasure to introduce two of most active shipping fleets in the region. Valfajr Shipping Company provides frequent, reliable and safe transportation from Iran to the neighboring countries. For booking ferry ticket in Iran, Revealing Persia gives you latest updates of ferry price and ferry timetable for booking ferry ticket. You can plan your sea travels through Revealing Persia. For reservation and schedule, please fill in the booking form. How can I get the ports in Iran by Bus? Do you need Ferry Ticket in the Persian Gulf? Book it NOW! Valfajr Shipping Company, a subsidiary of IRISL, is active in carrying cargo and passenger between countries in the Persian Gulf and Oman Sea. The company’s fleet of 13 ships of various capacity has regular services from Bandar Bushehr,Bandar Abbas, Bandar Lengeh, Khoramshahr, and Abadan. To the major ports of the region, such as Kuwait, Qatar, Bahrain, Dubai, Sharjah and Dammam Saudi Arabia, as well as Iranian free zones of Kish and Qeshm Islands. Bandar Lengeh to Dubai is one of popular ferry route in the Persian Gulf; This way take around six hours and two ferry play on this route between Bandar Lengeh and Dubai. The first is both passenger ferry and cargo ship and takes 5-6 hours. For more details don’t miss the below tables. It takes 10 – 11 hours and is both cargo and passenger ferry. It takes 5- 6 hours and is passenger ferry and cargo. It takes 4:30 hours and is just passenger ferry and fast one. It is just passenger ferry. The departures from UAE and Kuwait will be one day after mentioned days above. The ferry schedule will change based on the season, so please cross check. There is no boat from March 16th (17th and 18th) till the end of New Year Holiday in Iran (around April 4th). You can quickly send your booking request from the form below or send us an email from here. The Motor Bike, vehicle and cargo transportation is subject to issuance transfer documentations at the port of departure. Usually, you need to show up one day before the departure date at the port to get the required paperwork done. Do You Intend to Travel Iran By your Caravan and Then to United Arab Emirate? The average transfer fare for the Motorbike and the car is 100 to 250$ respectively. Supposedly you can carry 50 kilograms baggage free of charge, but extra weights will be charged as 2 Dirhams per extra kilo. Before traveling to Iran, you need to get Carnet de passage for your car. This can be done in the country where your car is initially registered. If you are traveling to Iran from Dubai, Sharjah, Oman, Bahrain, Qatar, Kuwait, or Dammam, please contact the local agents in those countries. We provide bus ticket in Iran; you can book your Bus ticket to Bandar Lengeh or Bandar Abbas from all of other cities you want. But most traditional route for this way is Shiraz to Bandar Lengeh or Bandar Abbas. You can send us your request from here or if you have more question about this route If you require any further information, feel free to contact us.